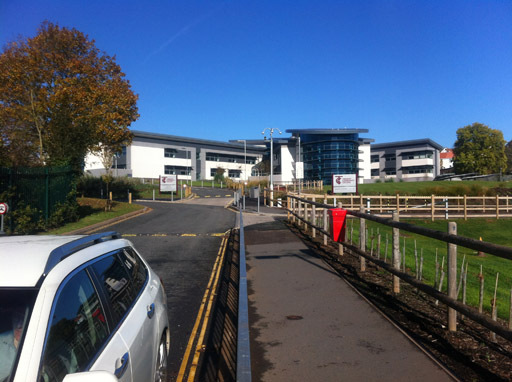 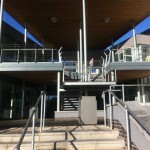 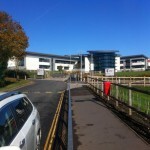 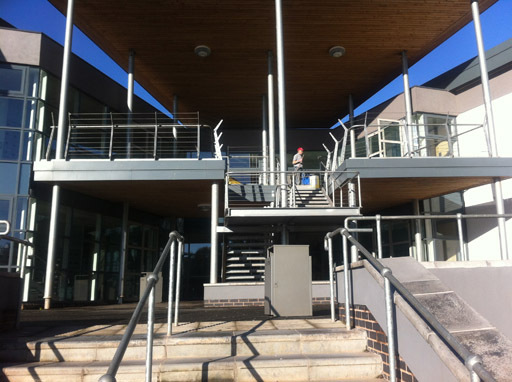 This large and modern community college in Devon had a serious safety problem with tiles on external staircases and balconies and required a Ceramic tile anti-slip treatment. 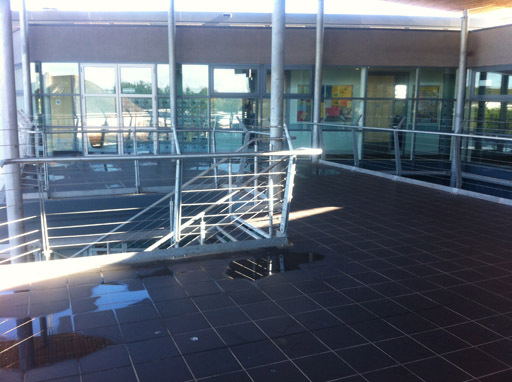 When wet the tiles were extremely slippery which was particularly dangerous for students in wet weather conditions. 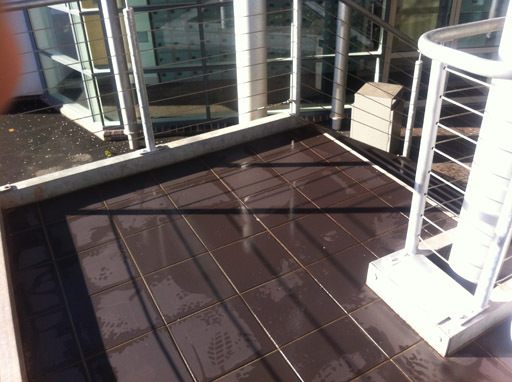 During a holiday shut down the tiles were first deep cleaned and degreased using an environmentally safe citrus based degreaser applied by rotary scrubbing machine. 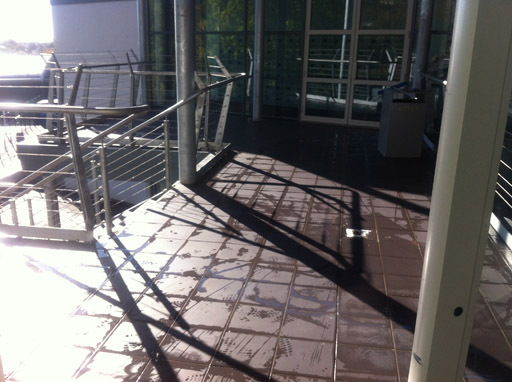 All tiled surfaces were then treated with an invisible moisture reactive anti-slip treatment. 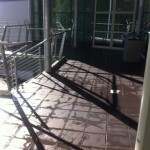 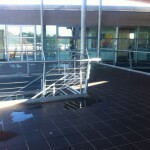 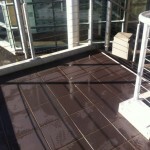 This treatment substantially increased the wet slip resistance of the tiles with no damage to the surface.